Online data storage has been available to people around the globe for a while now with many companies ranging wars to win over clients. 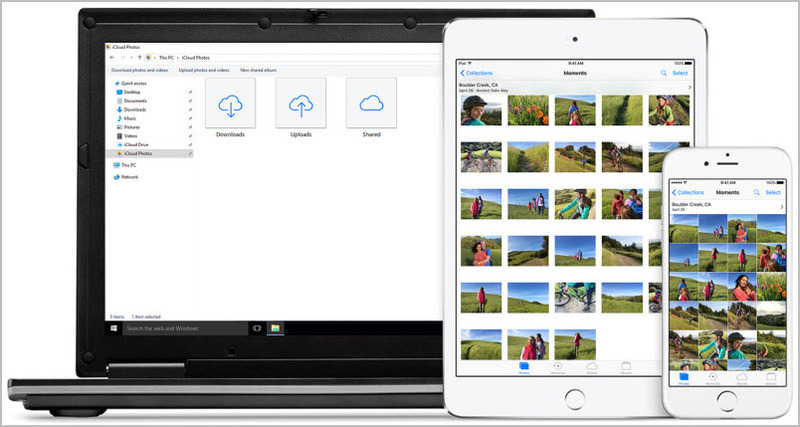 Apple in attempting to fulfill the online data storage needs announced the iCloud Photo Library along with the photo app as a decent way of iOS users to manage and store their photos. With iCloud Photo Library it means that your iPhone 8/X photos will be safer and more secure as iCloud guarantees this than any hard drive could offer. It provides a very reliable way to back up your best moments that you can easily access on all your devices and share as long as you have an internet connection. It also assures one never to lose iPhone 8/X photos even if the device gets lost or permanently damaged. 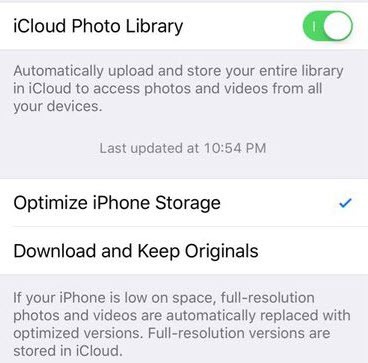 Once the iCloud Photo Library function has been set on your iDevice then your iPhone then it will automatically upload the photos to iCloud when your iDevice battery is charged up ensuring their security and safety and easy access on any of your other devices. With iMyFone Umate Pro, you can upload your images freely from iPhone 8/X to a computer or an external hard drive. 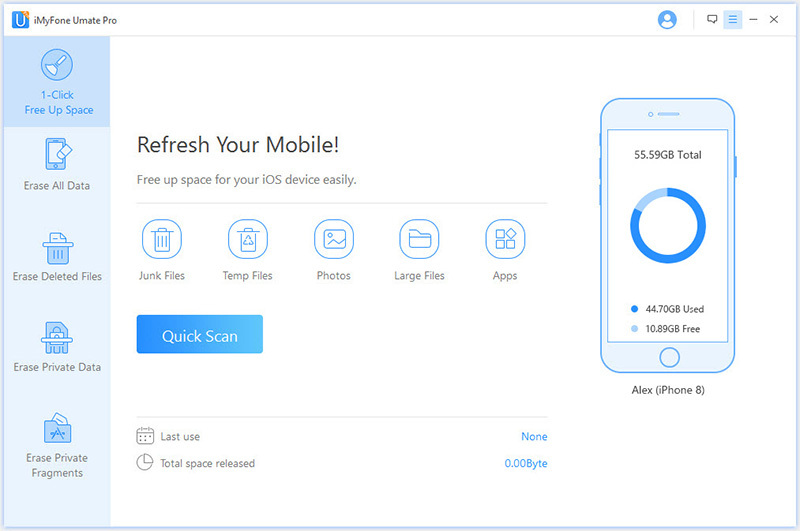 It is an all in one iPhone data management tool to back up and compress or even export and delete photos easily. 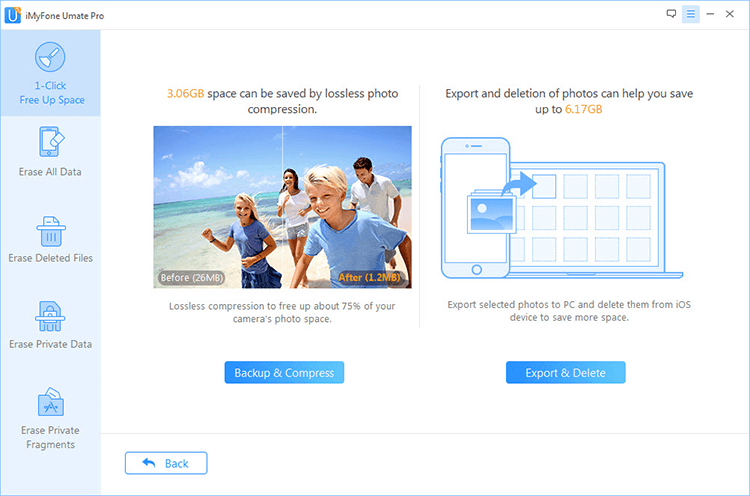 It can help you manage and permanently erase any of your pictures including your previously deleted photos, straightforwardly, ensuring maximum privacy on the user's end. Can easily compress, export and also delete photos on your iPhone 8/X with its 1-Click Cleanup which helps you manage your space in case you are running low. Permanently erases any iOS data including photos, junk files, large files, apps and temporary files ensuring they are 100 % unrecoverable which guarantee your privacy. Wipe private and personal data through its “Erase Private Data” mode making it unrecoverable even by any recovery tools which ensures that your personal information is secure. Can scan and permanently delete any hidden fragments of previously deleted photos on your iPhone 8/X.